MA’s Playhouse presents: “Ti Jean and His Brothers”, a timeless contemporary Caribbean folktale play from Nobel Prize author, Derek Walcott. MA’s Playhouse brings Ti Jean and His Brothers to the stage for four exclusive performances. It opens on June 20th at 6pm at The Maroney Theater located at 180 Remsen Street (7th fl. of Saint Francis College). Run time is approximately 1hr 40min with an intermission. 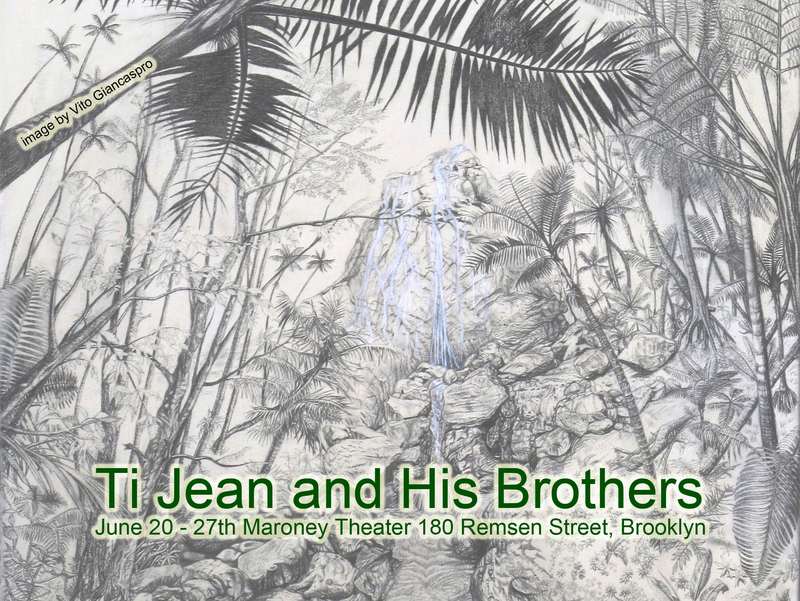 Ti Jean and His Brothers will run On June 20th and 21st at 6pm, On June 26th at 7:30 pm and On June 27th at 8:30pm. All tickets are $20.00 (or $10.00 for industry members with resume/headshot/business card). Tickets are available through Brown Paper Tickets. Media comps, photos, videos and interviews for Ti Jean and His Brothers are available upon request from 347 410-6382 or by emailing masplayhouse@gmail.com. Bolom: Male/Female- Dance or movement experience is a must. This play goes up at the end of June. The performance dates are the 20th, 21st,26th and 27th of June. Rehearsals are from Tuesday to Saturday evenings in May. 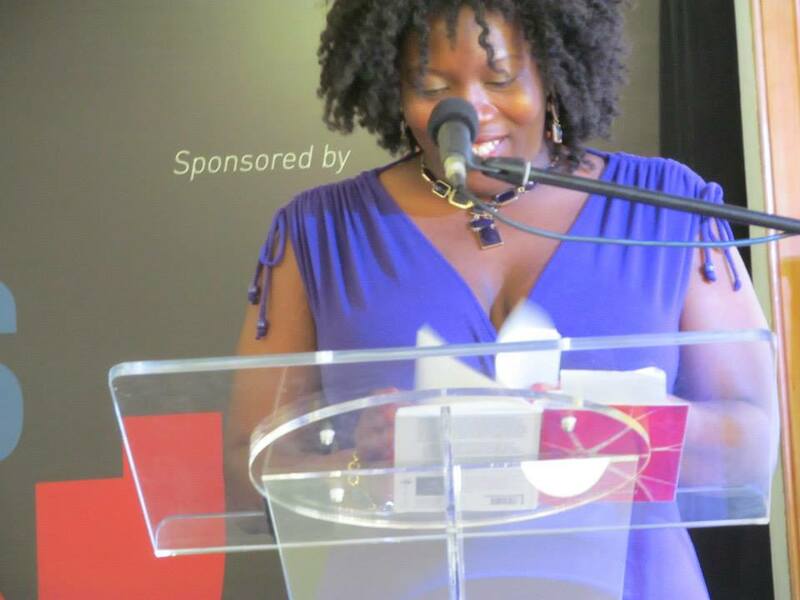 I am from cane fields and Convent, mango trees and cocoyea brooms; from my parents and my siblings, from the sea. I am from steel pan and calypso, Panorama and Parliament take overs. I am from David Rudder and Ras Shorty I. I am from pelau and roti, Mario’s and KFC. I am from ‘not enough’ and ‘make do’, from cut tail and church every Sunday, from friendships that string through time and distance. I am from Trinidad and Tobago, from New York, from Iowa, from Qatar, from Scotland, from this whole and wondrous world. 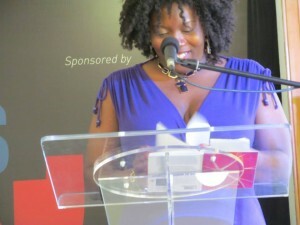 2.How if at all has your childhood in the Caribbean influenced your writing today? It’s impossible not to be influenced by the place you grew up in! So many things from my childhood and the place of my birth and upbringing have left their mark on my writing– the Trini’s love of a good ole talk, the melodiousness of our accent, the inventiveness of a cuss out, the political savvy and social engagement of calypso, the abandon of Carnival, the love of ritual and religion, all of it has made me the writer I am. 3.Why the name Difficult Fruit? The name “Difficult Fruit” comes from the long poem, “Eighteen,” and what’s at the heart of that poem, which I consider the heart of this collection is the idea of things coming to bear—in the case of that poem, a suppressed memory, but also a self strong enough to face that memory when it arises. When I decided on this title (there have been many titles! ), I thought it captured everything I wanted to talk about—change, growth, transformation, the notion of coming into one’s own, which is never an easy task, but is a critical one. 4.How long have you been writing poetry? I’ve written for as long as I can remember, but the most formal writing outside of school that I did was write calypsos for my younger sister. I remember my piano teacher saying O, so you write poetry, when I told her this, and me with typical teenage scorn witheringly letting her know it was no such thing. When I came to NY for college, I wrote all the time as a way of marking occasions, feelings, and even then, I never thought I was ‘writing poetry’ just that I was clearing my head. It was really in Creative Writing class in college that I took in probably my junior year, that I really began to think of the craft of poetry, and moreover that poetry itself was something I could pursue as a discipline, and the rest, as they say, is herstory! 5.What do you hope your reader to take away from this work? I really believe that readers take away from a work what they need, which is why our tastes change as we do, and our feelings about a book or poem we loved or hated might be altered the next time we encounter it. That said, I hope that whatever journey the poems take their readers on, that it is one that moves through struggle toward hope, that makes space for both celebration and grief, and that opens them in some deep and meaningful way.